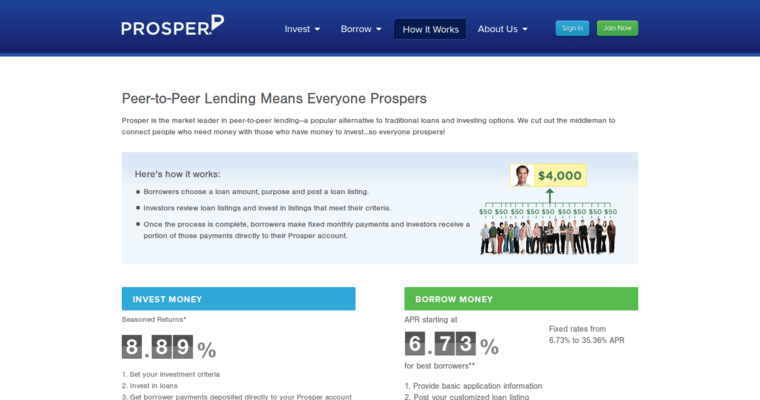 As the nation's first Peer-to-Peer lending institution, Prosper is able to meet a variety of consumer needs. As a nationally recognized marketplace, consumers have the opportunity to connect with investors and receive personal loans with low fixed income rates. 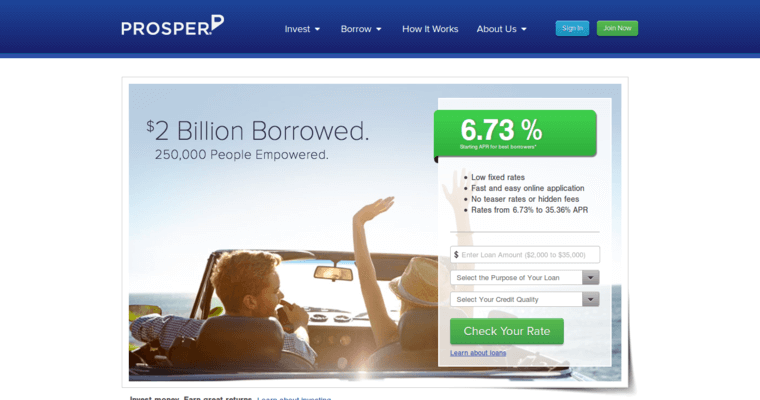 Based on credit scores, consumers are able to receive unsecured-no collateral required loans. Investors provide loans for consumers in a variety of circumstances, and almost any loan purpose is acceptable. Even as a potential investor, you will receive the benefit of a monthly cash flow as well as investments for as low as $25. 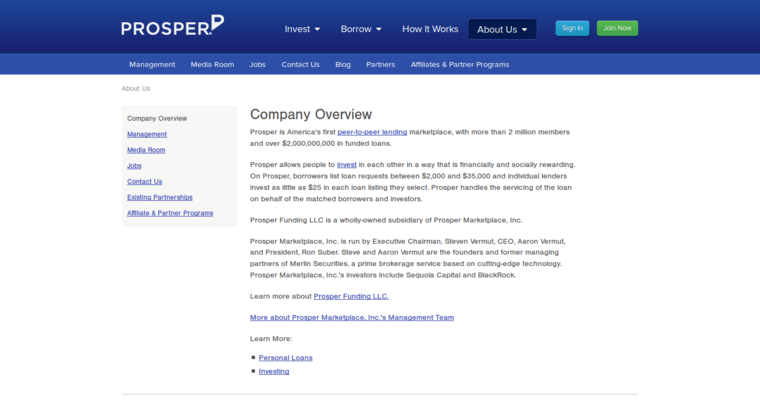 The debt consolidation loans allow consumers to replace their credit card debt for a Prosper consolidation loan and minimize the principal amount owed.If you are in need of a personal loan, Prosper is the best and most responsible way to consolidate your loans and help you manage your exposure to debt.